Welcome to the first in a series of monthly coaching and load organising weekends run by Team Nova. Made up of Ed Cracknell and Chris Mayhew, they will be on hand to help beginners who are looking to work towards their FF1 and FF2 qualifications. 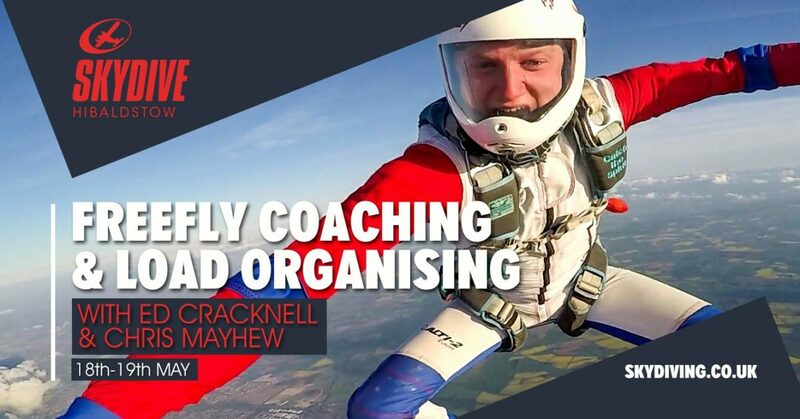 They’ll also be working with small groups to organise lots of fun freefly jumps with an emphasis on inclusiveness and learning to fly your body no matter what your angle is above the skies of Hibaldstow. Team Nova will be representing the UK this autumn at the World Skydiving Cup in Eloy in the discipline of Freestyle. So take advantage of their experience and knowledge and lets build month by month to bigger and better things.